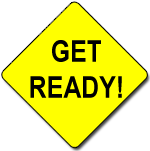 Get Ready is a 2-hour emergency preparedness training program developed by Tiburon Peninsula Foundation Board member (and Battalion Chief with Tiburon Fire District) Ed Lynch for an area task force that included the Tiburon Peninsula Foundation. The program has enjoyed tremendous success. Since classes began in May 2006, over 200 citizens have been trained as instructors and more than 3,000 local residents have completed the program, preparing themselves for the next disaster. In addition, it has been adopted by all of Marin County and several other communities around the state and nation. The manual has been translated into four different languages and is currently being adopted as a high school program for Marin County High Schools. In 2005, Belvedere resident Dr. Tom Cromwell was sent to New Orleans as part of a nationwide response to provide medical assistance in the aftermath of hurricane Katrina. When Dr. Cromwell returned home to Belvedere, a community meeting was held in an effort to improve the disaster response preparation on the Peninsula. After a review of the problems encountered in New Orleans, a task force was formed to review local disaster plans and make recommendations to the local government entities responsible for disaster preparedness. The Tiburon Peninsula Foundation took the lead, with Board member Larry Smith as the Chairman of the task force. Along with members from the City of Belvedere, Town of Tiburon, Tiburon Fire District, and the Belvedere Community Foundation, the task force realized that disaster preparedness starts with every citizen being prepared to survive the first 72 hours after an event. 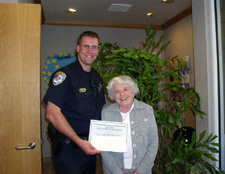 Current programs available to residents, such as CERT, were limited and time consuming. The task force set out to create a new program, one aimed specifically at Peninsula residents, that would provide the information and required actions residents would need in order to take care of themselves and their family after a disaster. The program was named “Get Ready” and its goal was to create a two-hour class accompanied by a manual that residents could use as a reference guide. The manual was developed by Tiburon Peninsula Foundation Board member Ed Lynch (a Battalion Chief with Tiburon Fire District) and includes information about food, water and shelter requirements, as well as actions to be taken by residents before, during, and after disasters such as an earthquake, flood, fire and severe weather. For more information, and to download the Get Ready Disaster Preparedness Manual, visit the GET READY WEBSITE.